What is there to say about Tondo? On second thought, maybe it’s a question that should not be asked in the first place. The thing about Tondo is that, to say the least, it is a place that evokes strong perceptions and sentiments. 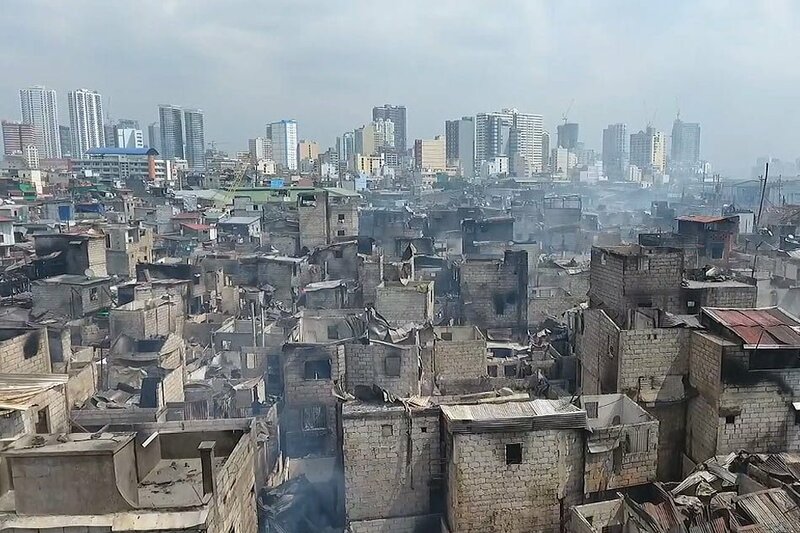 For one, there is the image of urban squalor and decay that has afflicted Manila and the metropolis in general. Then there is the atmosphere of “toughness” that has been the source of negative perceptions (thanks in part to its history as a den of crime and gangsters especially during the 1950s-60s), as well as positive ones (the “Tondo pride” as some may consider it). Being someone who has largely known Tondo through various media, and having only briefly set foot in the area just once or twice before, Tondo was a place that merited a bit more of that urban roaming. However, at the back of my mind, there is that feeling of uncertainty and the instinct to be more cautious than usual. As a working class community, Tondo played a role in the political, social, and cultural history of Manila, and of the country as a whole. Tondo was after all the birthplace of Andres Bonifacio and many of the members of the Katipunan movement that paved the way for the Philippine Revolution. Tondo was the birthplace as well of the Iglesia Filipina Independiente, which broke away from the Roman Catholic Church in 1902. Arts thrived here in the 19th-20th centuries thanks to the contributions of Amado V. Hernandez, Cesar Legaspi, Dolphy, and others who were born and/or raised in this part of the city. After the war, Tondo’s population grew thanks to the influx of migrants from different parts of the country who arrived from the nearby North Harbor. Many of these migrants were from poor families and seeking a better future in the city. However, they soon fell in the urban squalor the city was already suffering from back then. To make things worse, criminality became rampant in Tondo as gangsters like Asiong Salonga ruled the streets during the 1950s and 1960s. While today’s Tondo is a bit safer than it was in the 1950s-1960s, it is still not considered a place for the casual tourist to go to. It takes a bit of experience and ruggedness to at least be familiar with the atmosphere and appreciate the past and present character of a place as vibrant as this one. 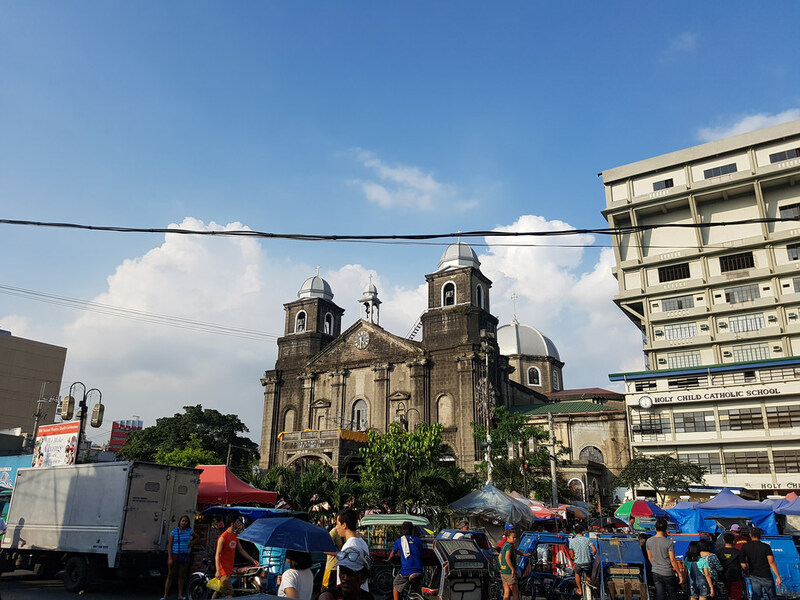 No where is this vibrant atmosphere more apparent than in the heart of Tondo itself, the Santo Niño de Tondo Church and the surrounding plaza named after one of its illustrious sons Amado V. Hernandez. The church we know today as the Santo Niño de Tondo traces its roots to the stone church built around 1611 serving the Catholic community in the already densely populated suburb. Found within the church is an image of the Santo Niño or the Child Jesus which originally came from Acapulco, Mexico and was donated to the Archdiocese of Manila and eventually to the then-newly established parish in Tondo in 1572. Before the end of the 17th century though, the church fell down and rebuilt twice: first by an earthquake in 1645, and then in 1661 due to a government order, fearing that the Chinese pirate Koxinga will fortress himself and his army in the Tondo Church. The church fell down to an earthquake once again in 1863 and was eventually rebuilt by 1880, which is the present church we see today. Since then, it has served as a second home for the Archdiocese of Manila in a few occasions notably after the war while the Manila Cathedral was being rebuilt. Then there is the festive Santo Niño festival happening every third Sunday of January, marked by processions and dance competitions. Outside the church is the old Tondo plaza, now named Plaza Amado V. Hernandez. It has been named after a man who was, to say the least, an accomplished Tondeno. He was a writer, poet, councilor, and labor leader whose left-leaning beliefs had landed him in prison for a number of years. One can say that after Andres Bonifacio, Hernandez was the epitome, perhaps the ideal, of the “batang Tondo”, a man who overcame the hardships in Tondo to be a learned individual and strived to change the system by challenging the status quo. That being said, it is a pity to see Plaza Amado V. Hernandez in such urban decay and disorder. It seemed the people of Tondo have forgotten the valuable contributions Hernandez has made to Tondo and the country in general. Then again, perhaps that should not be a surprise considering how many Filipinos treat their plazas like trash instead of vibrant public spaces that everyone should enjoy being at. Speaking of plazas, the piece shall be dealing with Tondo’s three plazas nearby, which have some history to share as well.